Motivation and self improvement are inevitable stepping stones on the road to inspired life change. Yet in walking your evolutionary path there are pitfalls to avoid as well. To be forewarned is to be forearmed. An awareness of these pitfalls can help to avoid them - making for a more smooth, enjoyable and speedy journey as you make your way. This self improvement and motivation pitfall isn't always easy to spot. We easily fall into it, and when we do, it can take us a a while to dig our way out. This pitfall comes from an over-reliance on thinking. Thinking most definitely has its place. Descartes went as far as to say that, "I think, therefore I am." Yet, as central as thinking may be to our lives, it can easily be overdone. If we aren't careful, thinking can start working against us, in many subtle yet significant ways. If you suspect you may be thinking too much, then you know you have a problem on your hands. But what happens when you think too much? What happens when thinking starts to feel like slamming on the breaks, while still having your foot on the gas? How much time and energy goes up in smoke when the friction of too much thinking enters the picture? What inspired life changes could be had by using that time and energy beneficially? A martial arts teacher of mine once said something I'll never forget: “You need to know when to think.” This thought has been sitting in the back of my mind ever since. Thinking ... when we should be taking action, doesn't help us. Thinking ... when caught in the grip of tumultuous negative emotions isn't very helpful either. More often than not, under such circumstances, thinking makes matters worse not better. A step out of the mind is needed for motivation and self improvement to take place. Inspired life change, it seems, isn't an exclusively cerebral affair. One day a caterpillar was walking along the banks of a pond when suddenly, out of the blue, a frog appeared. The frog had been watching the caterpillar for some time and was in complete awe at the caterpillar's mastery of walking. "How could this creature walk with so many legs?" the frog thought to himself. "It must have at least one-thousand legs, how does it know which leg to put down first, which second, third and so on?" The frog just had to know how this feat was accomplished. It decided to ask the caterpillar how it did it. The caterpillar was surprised by the question. It never thought about how it actually managed to walk with so many legs. "The frog was right to be curious", it thought to itself. "How do I manage?" thought the caterpillar. As it began to think about each leg as it moved, the caterpillar tripped for the first time in its life and fell to the ground. When need to know when to think. We don't often realize how thinking actually interferes with action. The caterpillar would have done better to think about the frog's question when walking wasn't actually needed. When it comes to motivation and self improvement we do well to do the same. Otherwise we end up tripping over our own efforts. For inspired life change - think, analyze and plan. Then move. Repeat. Don't mix thinking with doing. Don't second guess yourself in action. Give each their own space and watch your inspired life change unfold. "Yes, there is a potentiality, but the potentiality has to be trained, disciplined. A seed exists, but it has to come to flower. You can go on carrying your seed; no bee will be coming. Have you ever seen bees coming to the seeds? Don't they know that seeds can become flowers? But they come when they become flowers." Few things are more compelling than getting to know who you are and what you're really capable of. It's challenging to let your potential unfold, yet like a sprouting seed reaching for the sky - it's what you're here to do. As you embark on this beautiful and somewhat hazardous journey, many challenges come your way. Some obstacles are visible to the naked eye - you see them coming. Other hurdles come from within - sideswiping you before you may realize what's going on. Negativity taking shape as worries, fears and other concerns threaten to block you from making your way. Yet, nothing will arrest progress up your evolutionary pathway more than the motivation and self improvement pitfall of getting stuck on potential. Potential is the seed. The seed contains everything, but in and of itself is nothing much. Your potential inspired life change is the same. In and of itself it's nothing much. As it sprouts and blooms it's value becomes known. The seed contains a world of possibilities. Many future branches, leaves and fruit are possible from that one little seed. So it is with your potential. Many inspired life changes are living right now - as possibilities within you. How wonderful this is! When you think about it - about all that potential - you start to realize what's possible. Since seeing and realizing are two different things. To realize what you see you'll need to be careful not to fall in love with the seed, as a seed. For a seed is destined to transform. Knowing there's the seed of potential within you is one thing. Allowing it to sprout and bloom is quite another. Upon seeing the possibilities within, you fall in love with the seed. This is good, since it calls you to nurture and protect the potential within. It's also bad, since you get attached to the seed. You don't want to see it go. Yet, the very design and purpose of this seed is to change and transform into something else entirely. As the transformation unfolds, the seed ceases to exist as a seed. Seeds and potential are meant to be realized. You need to let go of your potential to realize it. Getting attached to the seed, you may find yourself preventing it's growth. It can be sad to admit that potential must be "lost", or let go of, if you're to ever enjoy its fruits. Be willing to sacrifice your potential to bring inspired life change in its place. Be willing to risk the loss of a possibility, in exchange for its realization. Don't confuse knowing with realizing. Don't let the motivation and self improvement pitfall of getting stuck on potential stop you from making your way. When it comes to inspired life change it's easy to think in terms of looking for more. You may be searching for more love, more money, more meaning, more status, more interaction, more satisfaction, more knowledge to help you achieve what you want. Sometimes you may be so intent on the things you want added to yourself and your life that the import of subtraction gets lost in the fray. How may less actually be more when it comes to your inspired life change? When it comes to inspired life change of any kind, there's never a need to become more than who you already are.Yet, can you? Be who you already are that is. More often than not, we get in our own way. Like wearing a shoe that's a few sizes too small, who you are strains against any artificial limitations impinging upon it. You feel this as an urge to grow, to expand, to change. Yet, rather than adding anything - your real goal is actually to shed. You want to shed these artificial limitations. You want to stop getting in your own damn way. Paradoxically, through this process of subtraction, you do end up with more. You end of more of yourself. That's essential life change right there. Don't let the motivation and self improvement pitfall of seeking to add, cloud your goal to subtract and shed. What you need is 'enlightening', not burdening yourself with some more crap you don't need. You want to become lighter and more nimble climbing your mountain. Not heavier and more sluggish. As you ascend higher and higher, inspired life changes of all kinds keep on coming your way. Like an artist chiseling away at the rock to reveal the statue inside, so do you work to chisel away the added and extra. The work of such an artist is removal, not addition. The essence of the statue is already there, it just needs to be liberated of the layers weighing it down. Most of us feel similar burdens as we walk the ways of life. We often think the burden comes from missing something, so we seek to add something to fill the gap. But what if real inspired life change meant shedding instead? What if without realizing it, we're simply getting in our own way? To bring out the true strength of a sword, its metal is forged. This forging consists of pounding the metal to remove impurities that otherwise weaken the metal in the final product. Through forging - the strength of the sword is brought out. By eliminating the unnecessary and extra a new strength is brought to shine. Inspired life change is not really much different. Motivation and self improvement are already with you - within you. Yet, to bring them out to bloom and take shape as your life, elimination is needed. Everything that threatens to weaken your metal should go. It could be a conviction that you'll never amount to much. It could be you've been brought up to believe a person should never rise above their 'station' in life. Or maybe its a lack of confidence or belief in yourself that's holding you back. Once these convictions are dropped, when these impurities are purged, you become lighter and stronger at once. We're all different - your impurities won't be the same as mine and vice versa. Yet, we're all the same too. We all can overcome our impurities to become more of who we truly are. This leads to inspired life change - quite naturally yours. When it comes to inspired life change you may benefit greatly by thinking at times in terms of less is more. Knowledge that enlightens - that makes you lighter - is good. Knowledge that ends up sitting on your shoulders weighing you down - isn’t. To avoid the motivation and self improvement pitfall of seeking to add to what's missing, why not take aim at impurities instead? A martial arts master was once asked by an eager potential student, "How long will it take me to master the art if I train every day?" "Ten years", answered the master. "What if I trained twice a day...how long will it take me then?" "Twenty years", answered the master. The student was perplexed, "Why will it take me twice as long if I train twice as hard?" he wanted to know. "If you sacrifice one eye to the future, you've only one left to focus on where you stand right now", answered the master. The master knew that losing ourselves to a future goal isn't the way to make maximum progress towards our goals. Rather, be present - to maximize your reach. Look too far to the horizon, at the expense of forgetting the path right under your feet, and you're very likely to trip, fall or perhaps forget to make any real progress at all. Now that you're familiar with the four motivation and self improvement pitfalls on the road to inspired life change, how about setting sail towards some life changes of your own? 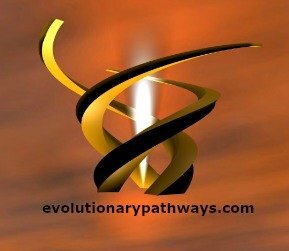 Stay tuned for upcoming solutions from Evolutionary Pathways that will get you well on your way!